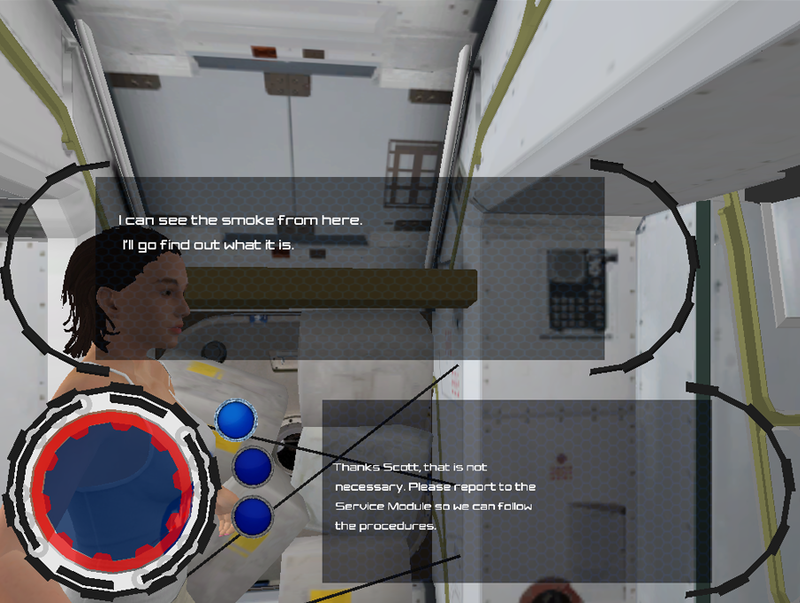 Users select answers based on their opinion of a situation. Use alternate angles to fully experience each scenario. 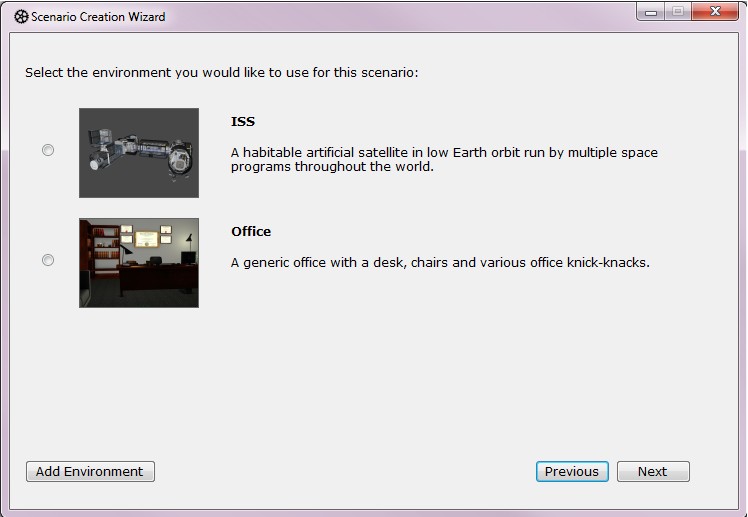 Decide which role and character to use for each scenario. View customized feedback for different responses. Include external links to assist users with helpful material. 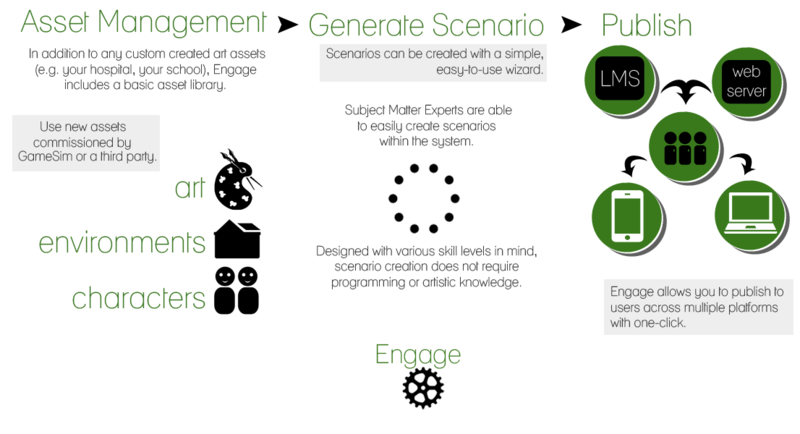 Subject Matter Experts can create scenarios with their own information. Customize the answers, feedback, actions, location, and more for each decision a user makes. 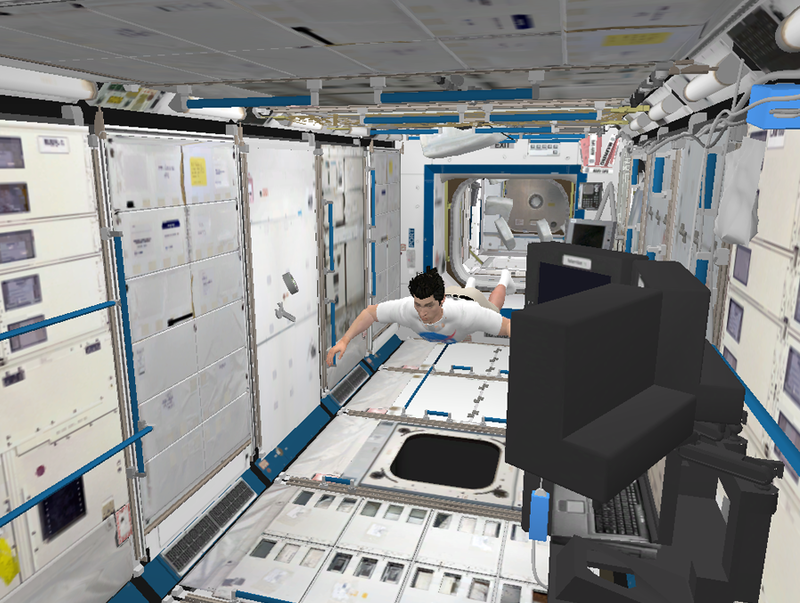 Engage is a 3D interactive tool used to provide an immersive training environment for users. 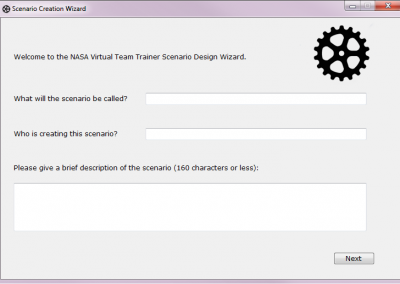 Training materials are able to be implemented easily through a WYSIWYG tool — scenarios are designed, created, and published by you. Designed with scalability in mind, Engage allows you to track and review the effectiveness of each scenario, question, and answer, while encouraging users to make intuitive decisions that affect the outcome of each scenario. This allows you to target who needs assistance and directly addresses which areas need improvement. Engage is a SCORM conformant, web based training tool available for use on most modern browsers and Learning Management Systems. 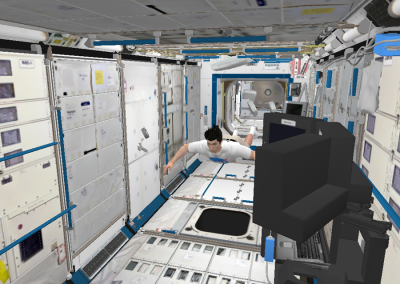 Developed for NASA for Virtual Team Training, Engage is able to address scenarios that are basic and complex, providing a well-rounded framework for any situation you may need. 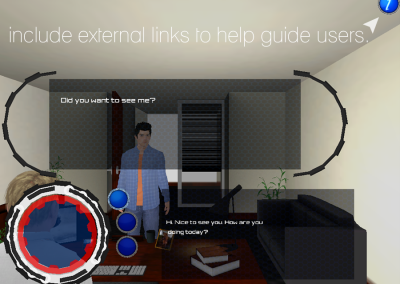 Designed with Unity and a simple, easy-to-use interface, Engage was created to address communication within organizations. Engage allows users to quickly design new and up-to-date scenarios that are rendered in a 3D interactive training environment. With a venue for you to rapidly create unlimited custom scenarios in the environment of your choice, Engage can be tailored to fit your specific needs at a low cost. 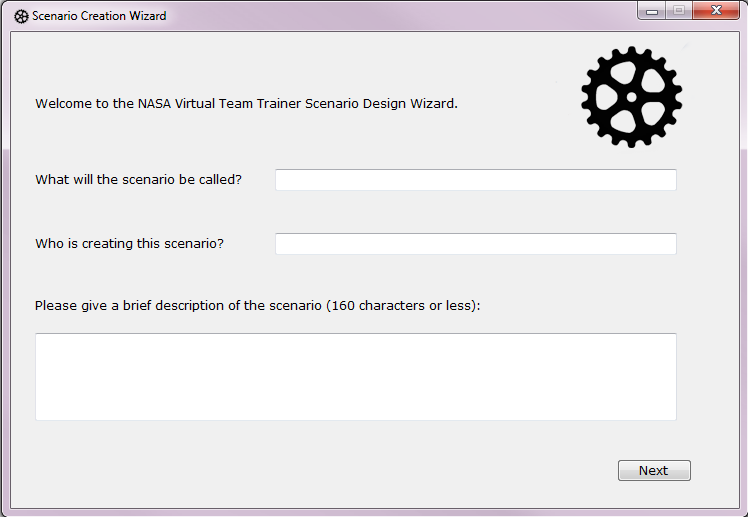 Engage adapts to fit your custom scenarios, providing a simple interface to create versatile training modules.